The same thing . . . 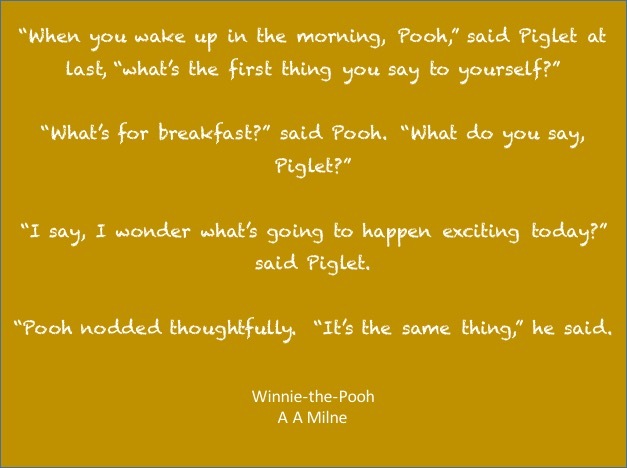 I discovered Winnie-the-Pooh as an adult. I often wonder how wise I might have been if I’d read him in my childhood. Previous Post It’s good to share . . .
Next Post Yes you can . . .